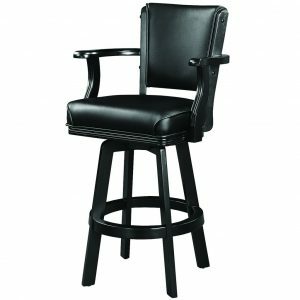 Simple and elegant, this backless barstool delivering exceptional seating to a pub table or gaming venue. 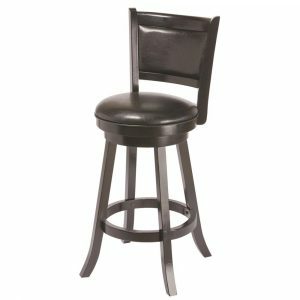 A stylish look for the kitchen or entertainment room, this barstool features a round, padded vinyl seat with no back for versatility and traditional appeal. 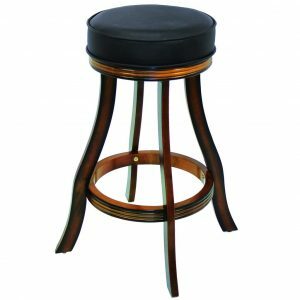 The base is crafted from solid wood with a rich finish and features a footrest that circles all four legs. The legs feature a slight curvature that adds dimension and visual appeal.